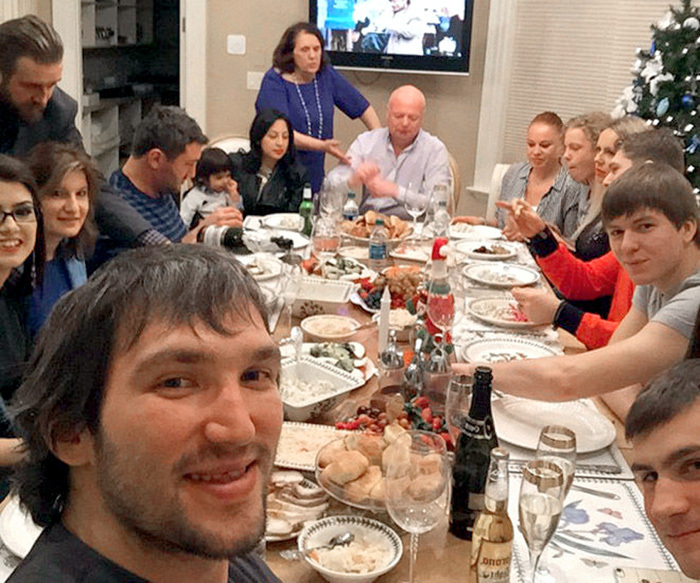 Last year was one of the happiest in the life of Russian hockey superstar Alexander Ovechkin. Sasha's example shows that sports success is inextricably linked with a happy family life. - Thank you, 2018, for two wonderful events in my life! The most important thing is the birth of our son Serezha, thank you, beloved wife! And for the long - awaited victory in Stanley Cup, thanks to my team Capitals, - Ovechkin wrote on Instagram. The famous forward "Washington capitals" and the Russian national team has been working up to the coveted Stanley Cup for a long 13 years. And after the victory did not rest on his laurels, and began to hammer one puck after another. Especially successful was last December, when Alexander after two consecutive hat-tricks entered the elite club 50 most productive NHL players in history-1171 points on the system "goal + pass". Only seven points remained then to the most "prolific" hockey player in the NHL Sergei Fedorov. Ovechkin is one of the most outstanding players performing overseas. Hence the rage of the organizers of the all-star game, when they learned about the refusal of Alexander to take part in it. They did not want to understand his desire to relax and spend an extra day with his wife and five-month-old son. However, the forward got off with only disqualification for one game. And could pay a substantial fine. Although the salary of Ovechkin in $14 million and another $2-3 million per annum for advertising, he would have easily pulled any fines. Sasha manages money skillfully. Hired a financial consultant, about 20 percent of earnings invested in us bonds, established the release of sportswear under the brand A8, got in the us luxury real estate. 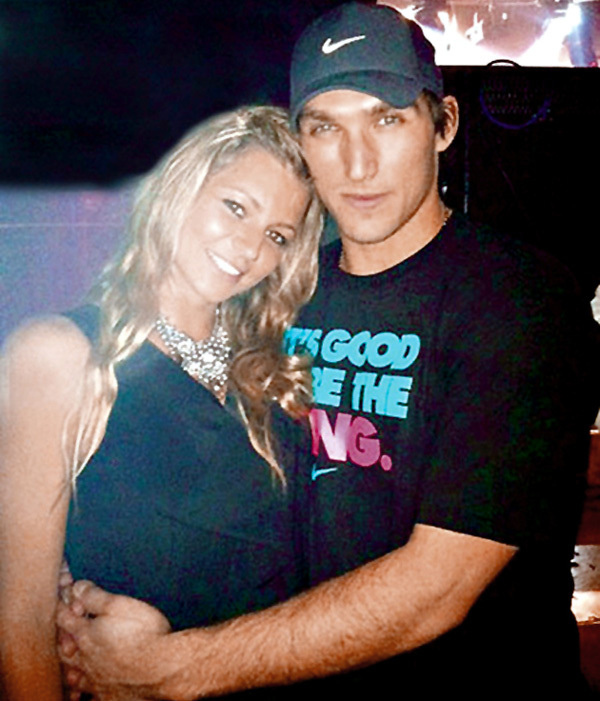 All important decisions Ovechkin takes, in consultation with his wife Anastasia. They married on August 26, 2016 and have since been inseparable. - He often tells me that I combine a friend, a girl, a mistress, a wife, - admits Nastya. Anastasia became a sovereign mistress in a mansion in the elite suburb of Washington-McLean, on the banks of the Potomac river. 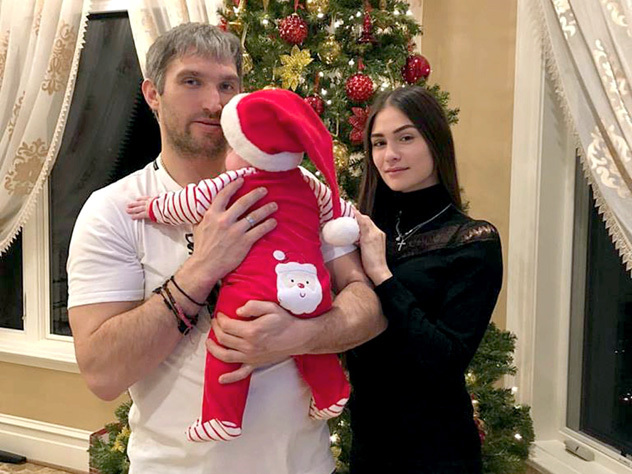 The girl grew up in a privileged family of businessman Kirill Shubsky and actress Vera Glagoleva and before marriage had a very rough idea of the household. But quickly got used to the huge house and even learned to cook. Although the steaks during a barbeque with friends on the club in the yard of their home Sasha prefers to cook himself. Washington neighbors of Ovi (congressmen, diplomats, lawyers, doctors and businessmen) do not complain. Alexander-a real idol in the city. At the cast-iron gate of his house, part of the lattice which is cast in the form of clubs, constantly take selfies. That's just the plot of half a hectare is not possible to see hockey up close. Alexander bought the estate in 2011 for $4 million 275 thousand. The house has a huge living room, five bedrooms, seven bathrooms, home theater, three fireplaces, swimming pool. Sasha was going to live here with his former fiancée Maria Kirilenko, a famous tennis player. In December 2012, they got engaged, but in July 2014, the bride and groom broke up on the initiative of Masha. The couple tries to follow the Scandinavian style of hugge in everyday life. The house, decorated in light, warm colors, is comfort and convenient. Hospitable hosts are happy to welcome guests-family and friends. The food is almost always homemade, the atmosphere is relaxed. In one word, life in its pleasure.